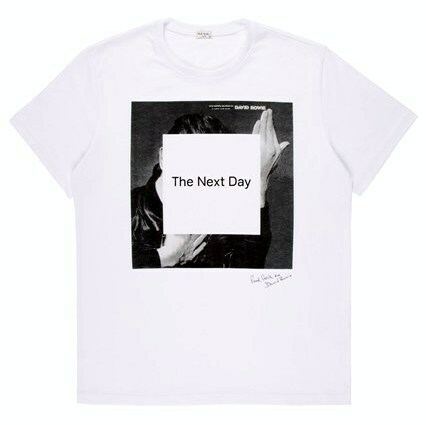 Fashion designer Paul Smith has collaborated with David Bowie to create the official T-shirt for the musician’s latest album, The Next Day (scheduled to be released on 11 March 2013). The garment (available from 7 March for £70) is the first of many planned for this year by long-term friends Smith and Bowie. It features a Paul Smith for David Bowie insignia and artwork, and was designed by Jonathan Barnbrook following inspiration by Bowie's Heroes album cover originally photographed by Masayoshi Sukita.